Cairo- Concluding its activities at the Arab League H.Q. in Cairo, the Arab Parliament condemned direct and indirect Iranian incursions in the affairs of other Arab countries which have been fared by the Lebanon – based Hezbollah. The parliament refused any outside interference in any Arab country’s affairs, conducted in an approach which could possibly threaten the Arab national safety. “We hope Hezbollah directs its weapons against Israel, and that coordination to protect the Arab national security grows,” al-Jarwan said. 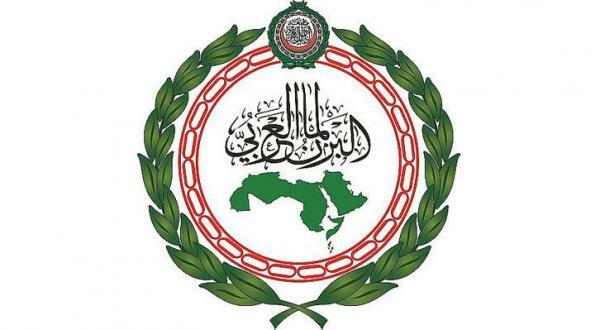 Al-Jarwan pointed out that members of the Arab Parliament have decided to label Hezbollah a terrorist group, after reviewing legal data exhibited during the fourth session. The parliament’s spokesman demanded that the Iranian regime quits interfering in the affairs of other Arab countries and respects the principles of sustaining fellowship with neighboring countries. Al-Jarwan requested Iran to end its occupation and respond to appeals of the United Arab Emirates concerning the group of islands comprising (the Greater and Lesser Tunbs and Abu Musa), resolving the issue either through negotiations or by presenting it before the International Court of Justice (ICJ) . Mosques King Salman bin Abdulaziz of Saudi Arabia and the Egyptian President Abdel Fattah el-Sisi, describing their foresight as a leading example for strongly needed cooperation which helps in confronting all threats and challenges facing the Arab Nation. Al-Jarwan, during his speech, laid out current developments in Yemen, Syria, Libya and Palestine. In context of the war-torn countries, he called out on all parliaments concerned with the refugee crisis to cooperate on forming a parliamentary representation, which could urge the international community to resolve the Syrian crisis and back a swift political solution for Syria. Al-Jarwan mentioned that a political solution for Syria should be endorsed based on resolutions reached at the first Geneva peace talks. A political solution would stop the Syrian refugee convoys, granting people the hope on returning to their country and constructing their homeland and future both safely and freely. The Arab Parliament Spokesman al-Jarwan demanded that the international community lifts the ban on arming the Libyan army, which is said to help in the protection of the people of Libya, fight against terrorism and the implementation of the law. He further confirmed that the Arab Parliament supports the people of Iraq in view of the difficult times facing their country, as they are fighting terrorist organizations like ISIS and suffering besiegement. The Parliament especially supports civilians of Fallujah that are being subjected to injustice.